after a whole year waiting for her. This is NA forum...*looks around* isn't it? It means they will be available to us sometime in the morning. Is good news. Yeeeees, soon I can have the fastest planes in the game! MWAHAHAHAHAHA! Someone said on reddit that they were pulling them from the shop again due to a bug...ugh, this is ridiculous. I have seen this said twice now on this forum but I am looking at the threads on reddit and do not see this at all. You have a link? propaganda from anti CV faction to create disorder and chaos. The guy has 5 battles and a few posts, likely just trying a rumor. The guys has 5 battles and a few posts, likely just trying a rumor. Unfortunately though, it wouldn't surprise me if it was right at this point. wait,what is the time of the day when the shop updates? 8am? Na, they are still up for sale on EU, if they were going to pull them to stop sales asap, they would just pull them, not post on reddit about it first. Just a rumor. 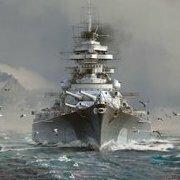 If you already have this ship in your Port, you will receive 10,275 doubloons as compensation. At the current doubloon exchange rate, that'd make her worth ~$50. So I wonder how they feel sold separately, they are worth ~$90?